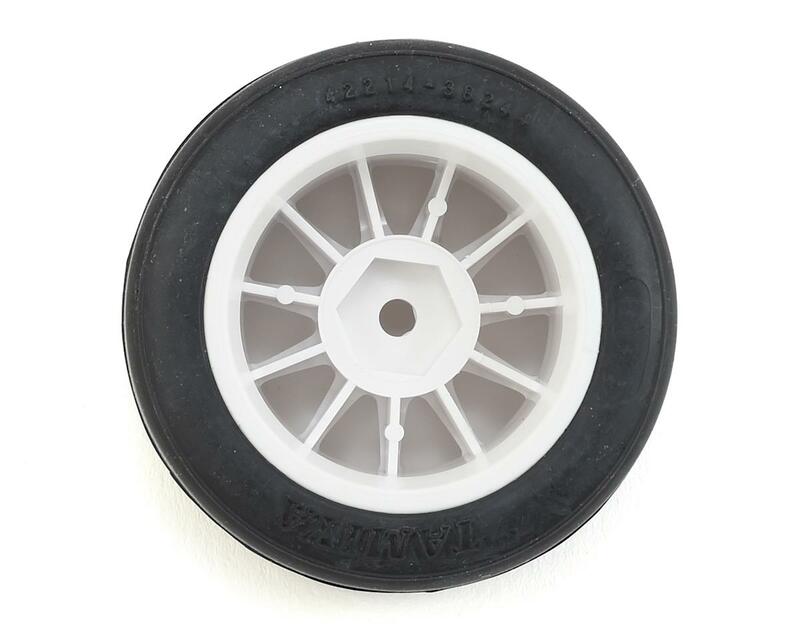 Tamiya RC 60D Type A Pre-Mounted Tires. 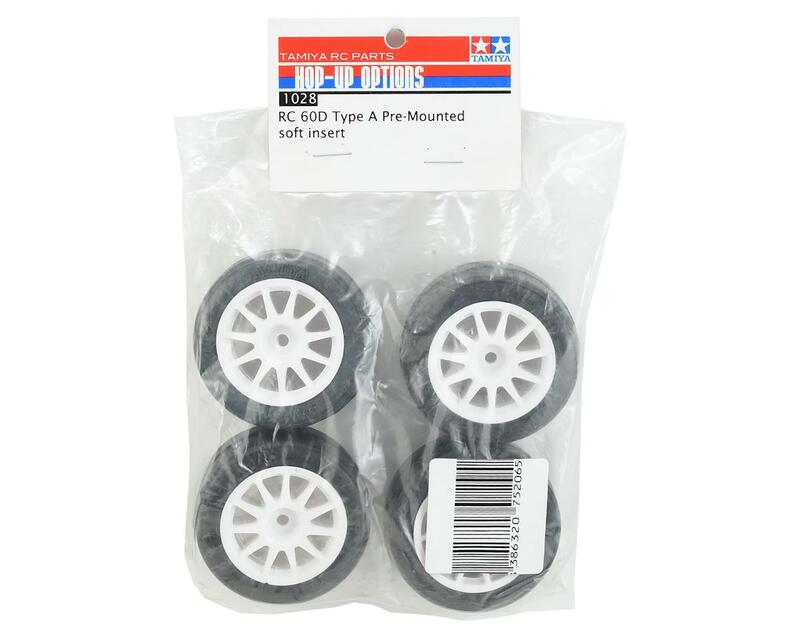 These pre-mounted and pre-glued Tamiya 60D, Type-A, M-chassis tires come in a package of 4 and are used for TCS (Tamiya Championship Series) races. They are also ideal for spec tire racing where costs and fairness control is desired. The Type-A compound is desirable in low track temperature conditions or indoor carpet track surfaces. 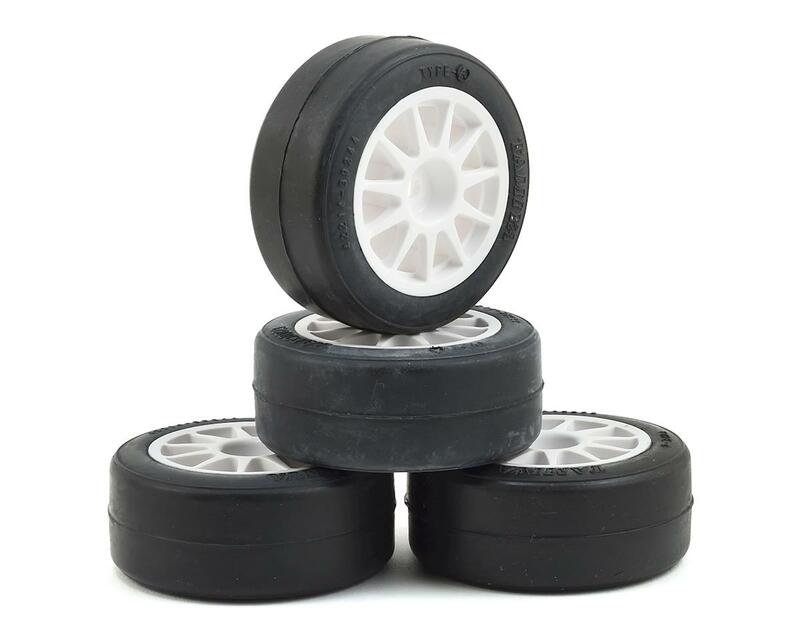 NOTE: Unlike item 1016 (RC Pre-Mounted Radial Tires), this set is mounted on the white Suzuki Swift 11 spoke wheel with a soft foam insert inside.